Paris. Milan. New York. And now, YouGotaGift.com in Dubai! These are some of the top luxury fashion destinations around the world and yes, we are on that list! You might be wondering how that is possible. Well, our website offers gifters a variety of luxury gifts in Dubai and other major cities in the region. So, if you are desperately looking for a very special gift for a very special someone, our online gifting platform will fulfill that need for you. 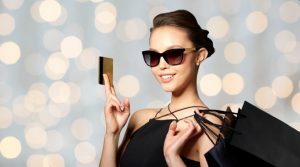 In the luxury gifting world, it is very common for gift receivers to be offered unwanted items that are not always in line with their style and personality. With online gift cards, this issue can be avoided as your loved ones will choose the luxury goods that speaks most to their hearts. We would like to help you with that, which is why we have compiled a list of luxury gift ideas Dubai-dwelling luxury enthusiasts will love! Let’s start this list off with the luxury jewelry option. Joyalukkas Gold, Swarovski and Malabar Gold & Diamonds gift cards are among the jewelry brands that you can offer your loved ones and that are designed to make them look elegant, sophisticated and chic. Swarovski, for example, does not only offer hand-crafted, crystal-infused necklaces, bracelets and earrings; they also have unique home jewelry such as crystal figurines and candle holders that will turn a regular home into a luxury home. Giving a Joyalukkas Gold gift card is synonymous to gifting utmost quality and timelessness. With their collection of gold, diamonds and pearls, your loved one will shine and sparkle; forget about ever feeling boring again! They are not called the world’s favorite jeweler for nothing. The Malabar Gold & Diamonds brand will truly make gift receivers stand out from a crowd, all thanks to their line of premium gold, platinum and silver jewelry that are designed to impress! With regards to luxury apparel, we can name two very special options available on our gifting platform: Boutique 1 and the Mall of the Emirates & City Centre gift cards. 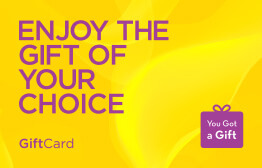 Allow me to explain what each gift card can offer luxury lovers. Boutique 1 is the ultimate luxury fashion destination as it is home to some of the top luxury brands in the entire world. Elie Saab, Chloe, Phillip Lim and Victoria Beckham are only some of the names available at this ultimate fashion location. With this gift voucher, it is guaranteed that your loved one will be dressed and styled like the models on the runway shows in Paris, Milan and New York. The Mall of the Emirates & City Centre gift card give gift receivers access to a long list of luxury stores such as Alexander McQueen, Balenciaga, Burberry, Cartier, Chanel and Dior, among many many others! These are the ultimate luxury gifts (Dubai, Abu Dhabi and other major fashion cities in the region). Finally, for something a little different, you may select to offer them art from Art Sawa and even luxury furniture from Andrew Martin. An Art Sawa gift card is perfect for anyone who wants to add a touch of culture in their home as they offer contemporary art, promoting pieces from the Middle East and up-and-coming artists. At Andrew Martin, your loved one can select top quality pieces of luxury and classy furniture and choose from a wide range of items, ranging from wallpaper to sofas. Coco Chanel once said “in order to be irreplaceable, one must always be different”. With our luxury gift options, your loved ones will feel both irreplaceable and different. This entry was posted in Luxury, YouGotaGift.com and tagged Luxury Gifts Dubai, Luxury Gifts in Dubai, Luxury Gift Ideas in Dubai on December 26, 2016 by Maria Najjar.